Want to lose weight? Keeping track of your goals through a smart scale is a great way to back yourself. 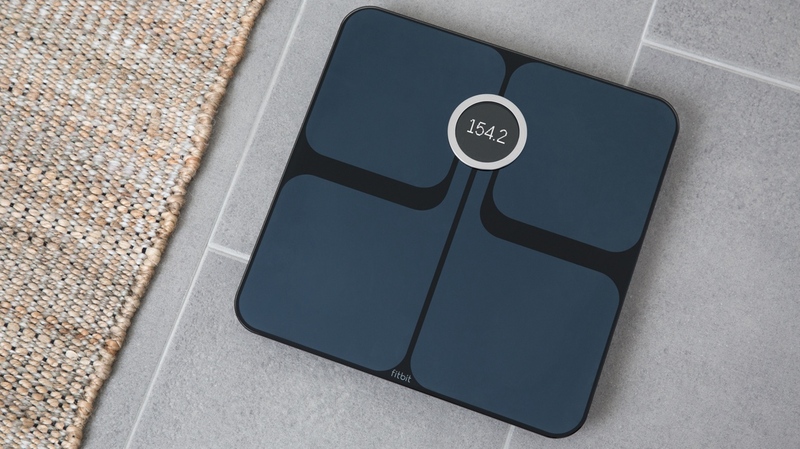 Big name fitness brands are making connected scales that make it easier to keep tabs on the ups and downs in the journey to shave off those pounds. A top body analyser will track your weight, body fat and even heart rate, while also syncing up progress to provide you with an eventual catalogue of information. Smart scales can also play nice with fitness trackers and smartwatches, so you can use the data to get a better sense of your quest to get in better shape. It's also useful to factor in the ecosystem that tracks your weight and how useful the information can actually be. To help you find the one that's the best fit for you, we've picked out the best smart scales in the game. Got any questions? Let us know in the comment section below. The Fitbit Aria 2 builds on top of the original, remaining one of the most reliable and informative health gadgets on the scene, providing up to eight registered users with accurate stats about weight, BMI and fat percentages. The big new thing here is that the Aria 2 has been re-engineered with FDA approval in mind. Fitbit says this means the scale is far more accurate than before, and they've also made some slight improvements to the design and interface that you may or may not notice. Regardless, the scale is a good-looking wedge of glass available in black or white, with the backlit display also flashing a range of data concerning identification, weight, body fat percentage and syncing. As a standalone set of scales, there are options below that offer slightly more, but Fitbit owners will get more from adding the Aria 2 to their health tech line-up, rather than opting into a whole new ecosystem. The app (or dashboard software, if you prefer) is easy to navigate, and after a few weeks the weight/BMI graphs will transform from daunting into useful reading. For a complete assessment of your eating and exercising habits there's also a food diary log, and to keep you motivated you can sign up to compete with friends and boast about triumphs (or not) via social media. See what we made of the latest Fitbit scale in our extended Fitbit Aria 2 review. The new Garmin Index scale is one of the more complete scales on the scene, with both Bluetooth and ANT+ connectivity built in. This means it can pair with your smartphone and fitness watches, such as the Fenix 5 Plus and the Forerunner 935, to measure weight, body mass index, body fat and muscle mass and have them added to the Garmin Connect platform. This is a superb addition for runners and users of Garmin's sports watches, while the scale can also support a mammoth 16 different profiles. Withings and Nokia have changed hands several times in the past couple of years, so we'll forgive you for not being able to keep up with which company is producing what. To bring you up to speed, though, Withings co-founder Eric Carreel has now bought back the brand from Nokia, with hybrid smartwatches and scales (like the Body+) now, again, coming under the Withings tag. You're still likely to see the Nokia label on the same devices through retailers like Amazon - expect this to change as the transition back to Withings rolls on - but for now you can pick up the new-but-not-really-new Body+ directly from the company. All the same bells and whistles are on board here, as well, and that means you're able to receive what Withings calls a full body composition analysis. In real terms, that means you get your weight tracked, as well as your body fat percentage, water percentage and individual bone and muscle mass. It's comprehensive stuff. Weigh-ins will also appear in the Health Mate app and sync over Wi-Fi, and it's from here you can also set goals and manage your calorie intake. Naturally, the Body+ also caters for up to multiple users - eight, in this case - and provides individual profiles. The scale is available in both black and white, and if you want something a little more basic, Withings also has a cheaper, less feature-packed Body scale to consider, too. The QardioBase 2 will give you your body mass index, weight and body composition, but what sets it apart are some of its additional features. Firstly, it has haptic feedback to gently let you know your weight has been recorded. It can also be set up to send you reminders to weigh yourself if you're avoiding it because you had one too many cheat days. More importantly, there's smart feedback. After you weigh yourself, the scale will give you a friendly smiley face if you're progressing toward your goals. There's also a pregnancy mode, allowing mothers-to-be to track their progress and even add pictures via the companion Qardio app. That app, by the way, is where all your information is fed. Polar's smart scale supports up to 10 individual profiles — just in case you, you know, live in a hostel or share your device about at work — and will keep a log of weight and body mass index (BMI) within the Polar Flow app. It works using Bluetooth Smart to link to a paired smartphone or Polar Loop band, which will show you progress against your weight goal. Unfortunately, though, it lacks some of the metrics you get with the Garmin and Nokia, and won't display body fat percentage or muscle mass data. The iHealth Core measures more than just your weight, adding muscle, bone, water and into the mix with bioimpedence tech, as well as BMI and all the usual metric suspects. Supporting up to 10 users, it feeds into the growing iHealth ecosystem and records and tracks data within the ByVitals app. The company also builds glucose monitoring and blood pressure devices, making this a viable alternative to Withing's excellent health monitoring devices. Another Bluetooth 4.0 device - this time for iOS users only (iPhone 4s and above) - the Balance has a strong build and syncs quickly with the Wahoo Wellness app. It tracks weight and BMI, and has the option for 16 different profiles and weight goals. Handily, it also stores up to 130 weigh-ins, so you don't have to have your phone with you every time you step on. The Wellness app offers the usual collection of graphs and goal alerts, but also syncs your weight data with the superb calorie-counting, exercise-logging MyFitnessPal range of apps. Wahoo isn't unique with this — Fitbit and Withings both offer the same data sharing — but for the price it is a great extra to have on board. You can't beat the Nokia Body cardio, in my view it is the best on this list. Just bought 2 Withings Body+ scales at Amazon. They both came branded Withings. This is good news because under the Nokia brand these scales were handicapped. The scales are awesome btw.